As soon as you login to the App, your next Meru ride is just a tap away. You can quickly choose Meru Genie or Meru Eve and even schedule a Pickup for later Time & Date from a Location of your choice. After your booking is confirmed, you can track your Cab coming to pick you up with the details and a photo of the Driver assigned. From the Menu you can manage your Bookings, Favorites, Profile, check the Fares in your city, or send any feedback over to Meru. 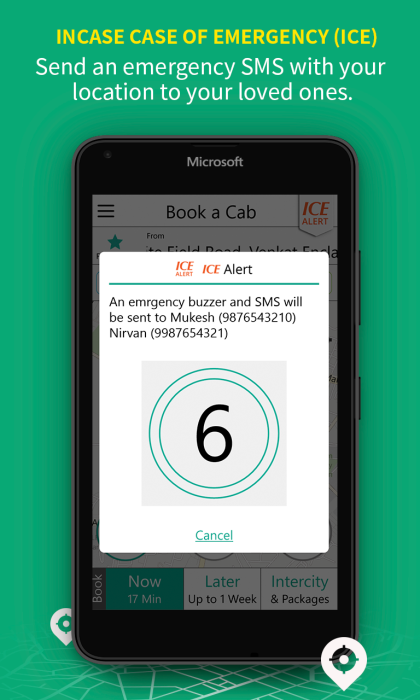 The App is equipped with ICE (In Case of Emergency) Alert button that will SMS your location to your loved ones in case of an emergency. Developing this App has been really challenging for me because there is a lot going on under the hood to give the smoothest possible experience to the User. In terms of UI, I’ve used the MapControl and MapServices extensively to show nearby Cabs, routes, and Cab’s on-road animations. I created custom UI controls for the Time Dial that you see in the second screenshot as well as for the Hamburger Menu. 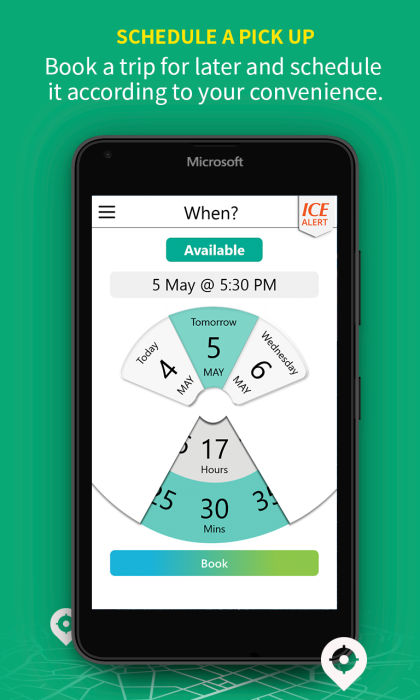 All of the basic controls have been re-styled to match Meru’s style guidelines and now the Windows Phone App has the same UI and UX as their iOS and Android Apps. 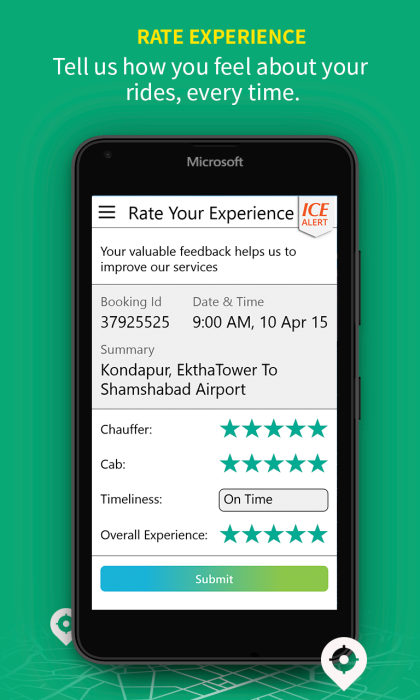 Meru Cabs is one of the best Cab service available in India and working with their team to create this App was a really great Experience. Go ahead, download the App and give it a spin! Yeah, you can literally spin the Dial UI.